Heavy rain showers, S breeze. 16°C. No cycling. I have a cold, so did some drawing tonight. 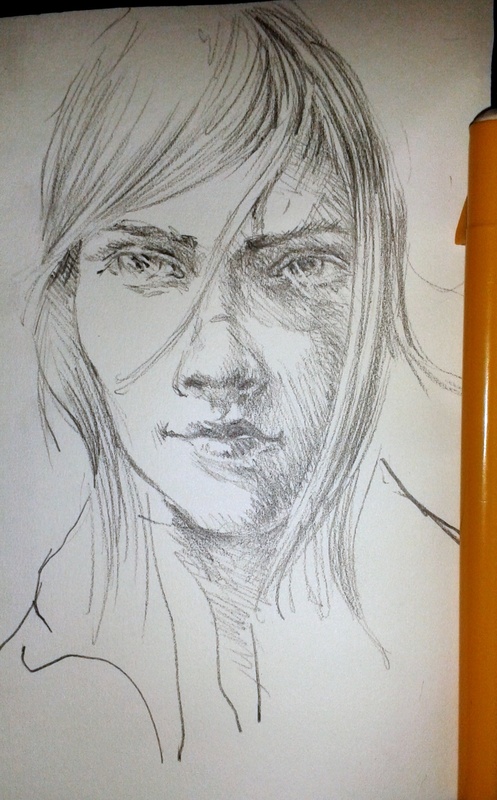 A6 sketchbook with HB pencil. It took about half an hour. Played Max Richter for about 2 sides. It came out alright didn’t it? This entry was posted in drawing and tagged A6 book, pencil. Bookmark the permalink.